While Thomas Edison is rightly credited with the invention of the cylinder phonograph and the means of playing back sound, his ideas were clearly influenced by numerous others who preceded him. Leon Scott's phonautograph, invented as far back as 1857, had demonstrated that ambient sound waves could be traced as a visual image through the vibrations of a bristle on a sheet of soot-covered paper, known as a phonautogram. 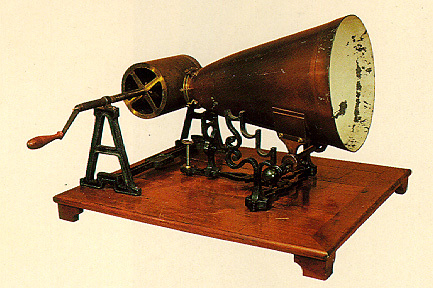 Although it undoubtedly was a first step in recording history, the phonautograph was not imagined as a device to reproduce sound. Not until 2008 were researchers able to play back the sound waves captured on these phonautograms. You can now listen to the recordings, thanks to the work of a group of American researchers. Likewise, the prescience of Charles Cros, who in 1877 suggested a novel method by which sound waves could be captured and then reproduced, was impressive, but his invention remained only a theoretical ideal. It was the particular genius of Edison that he was able to capitalize on these ideas and design a standard machine for recording and playing back the human voice, one that would ultimately prove commercially successful as well. But before that point would come, a few other developments would have to occur first.